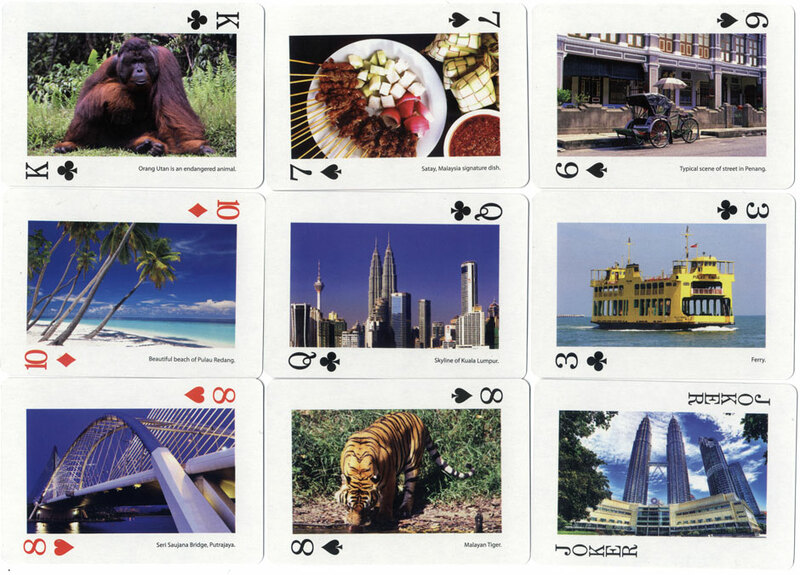 Souvenir playing cards from Malaysia featuring 56 colour photographs of scenery, wildlife, local people and Malaysian cuisine with inscriptions in English describing each scene. The pack is at all the tourist destinations but they aren't promoted or at the front of the shop, you have to ask for them. See also: Malaysia Truly Asia souvenir playing cards. 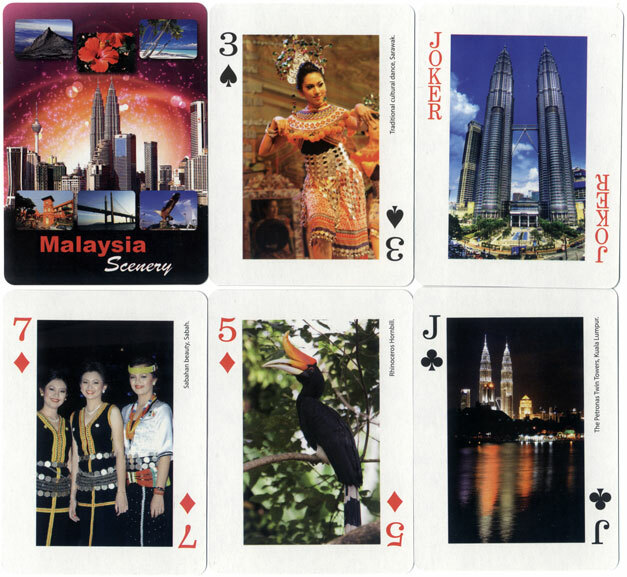 Above: 'Malaysia Scenery' souvenir playing cards; 52 cards + 4 Jokers in plastic box. There is no mention anywhere of the photographer, publisher or manufacturer, or a copyright notice. Cards courtesy Adam Wintle.